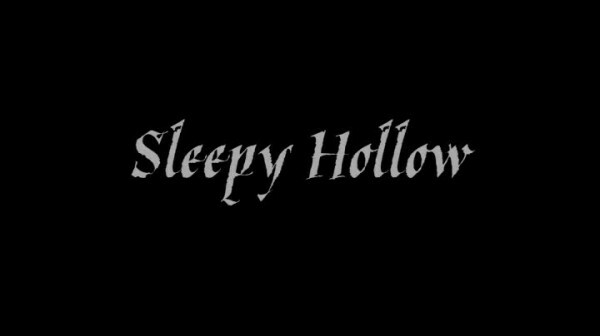 If there is one show in the fall 2013 season I am excited for, it is Sleepy Hollow. Sorry, Agent Coulson. 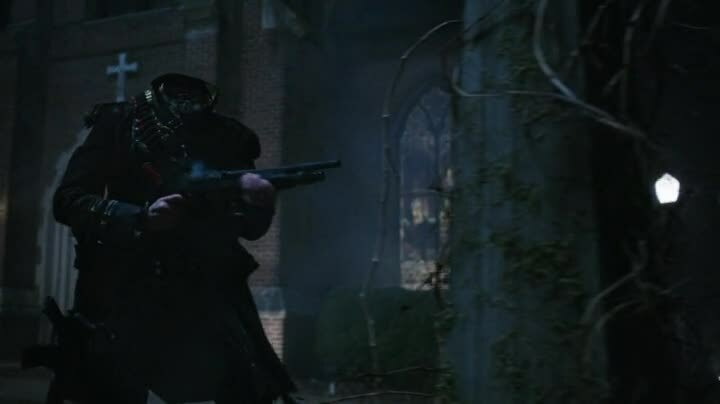 Sleepy Hollow hooked me because of the ridiculous image in the trailer of the Headless Horseman with a machine gun. It holds the promise that things will be crazy, and I love crazy shows. Sleepy Hollow follows the story of Ichabod Crane, who was a spy for George Washington that hunted down a demonic British soldier, lopped off his head, was badly injured, and then awoke 250 years later. And so did the now headless demonic soldier, who once again is riding around on a horse lopping off heads. 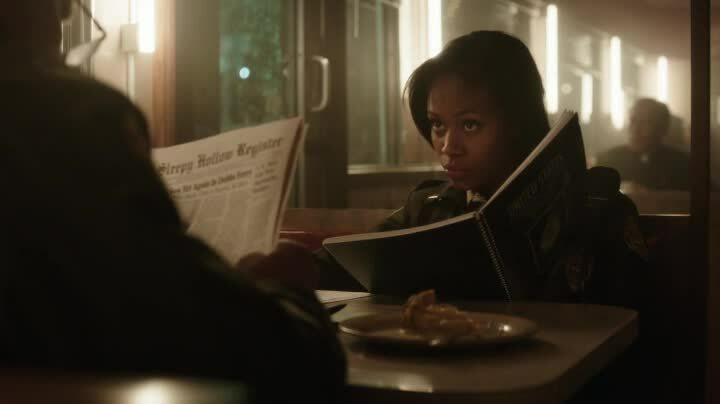 The mystery of what the heck is going on is our hook, while Ichabod’s adjustments to modern day and teaming up with police Lt. Abbie Mills is the meat. It’s me, Benedict Arnold! Oh, wait..
Let’s work together, two heads are better than none! Overall, I liked it, but there were some things that were icky and some things that I hope are just pilot jitters. The whole Book of Revelations things is pretty boring and done to death. Here’s hoping the mythology goes beyond just quoting a Bible verse each week. The hint of George Washington as a demonic fighter and reuse of the eye of the pyramid imagery hints to maybe some sort of National Treasure conspiracy things happening. Maybe even a Founding Father or two will pop up in Sleepy Hollow to battle evil. And also to handle slavery much worse than Ichabod did. 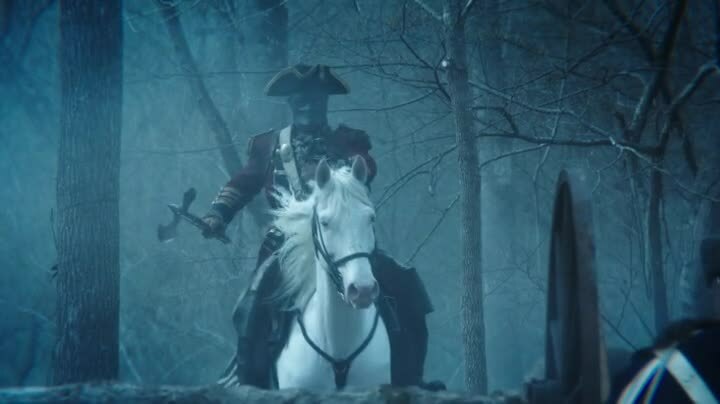 Here is hoping Sleepy Hollow becomes a mix of X-Files and police procedurals that isn’t afraid to be weird. Sleepy Hollow begins in the midst of battle, the Colonials and the British are fighting, with Icabod Crane (Tom Mison, Salmon Fishing in the Yemen) in the midst of the battle. The demonic soldier appears. He’s dressed as the British Redcoats (because he’s evil!) and has a mask on (because he’s evil!) and pure white eyes (because he’s EVIL!) The important thing is the Horseman has a scar symbol on his hand of a bow (a bow and arrow – though it looks like an anchor in the quick shots!) Ichabod Crane and him do battle, Crane being slashed in the chest and the Horseman losing his head. The next thing we see is Crane popping out of the ground in a creepy cave, then wandering around and encountering a paved road. He becomes confused and curious and is then almost hit by a semi and actually sideswiped by a car. This sequence is very similar to the one in Dark Shadows, which also features a character who was asleep for hundreds of years and encounters a road as the first sign of modern civilization after awakening. It sort of speaks to the universality of the car culture in the US. Or they just ripped it off. 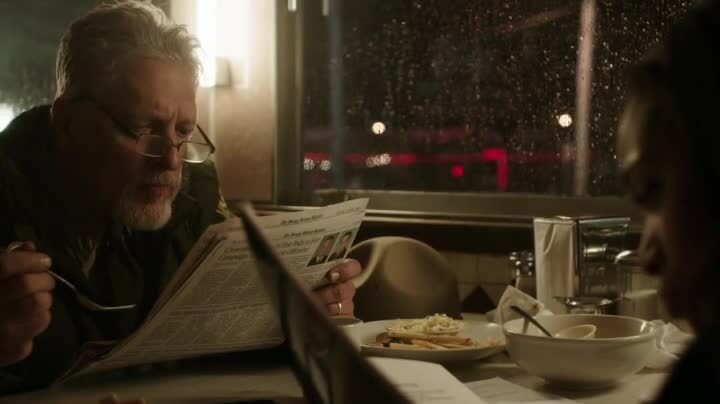 In town, police Lt. Abbie Mills (Nicole Beharie, 42) is preparing to head to the FBI in a week, while her partner Sheriff August Corbin (Clancy Brown!) ism’t too keen on her leaving. 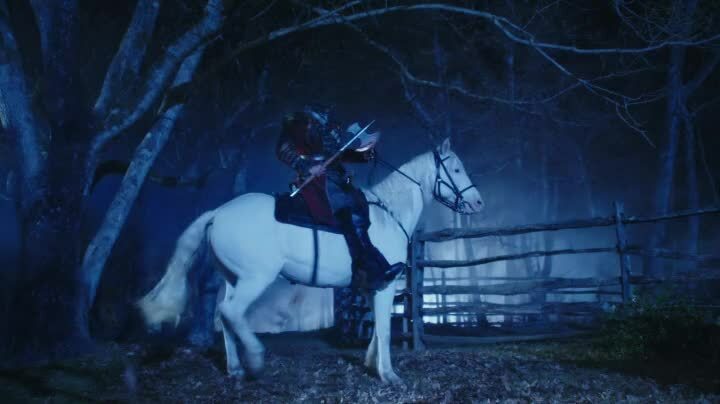 They check on reports of spooked horses at a far, where Abbie finds a murdered farmer (head lopped off) and Sheriff Corbin finds the Headless Horseman, who lops off the Sheriff’s head and rides away. 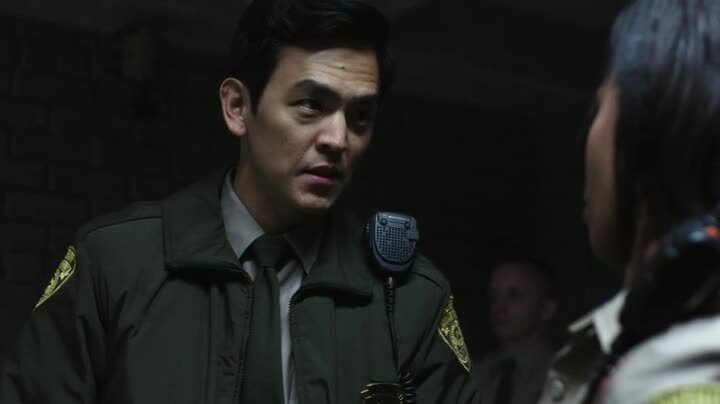 Responding to Abbie’s distress call, Officer Andy Dunn (John Cho!) spots Ichabod, looking suspicious, and throws him in the back of his squad car. Thus Ichabod becomes in custody of the Sleepy Hollow police, who view his claims of working for George Washington with suspicion. Crane passes a lie detector test, and Abbie realizes he’s the only one with even a clue as to what happened to Sheriff Corbin. 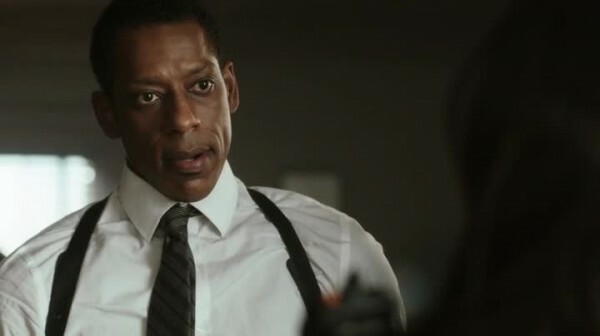 But the new head of police, Captain Frank Irving (Orlando Jones! ), wants Crane in a padded cell and nothing to do with this suspicious nonsense. 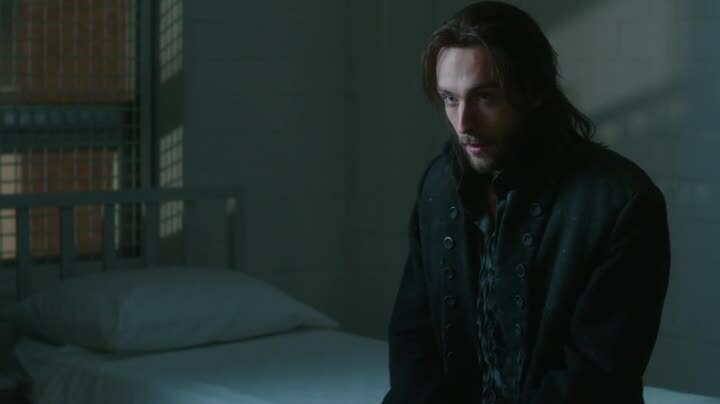 Everyone seems to think Ichabod is feigning an insanity defense, but Abbie knows more is up than what is obvious. Abbie manages to get to transfer Crane to the asylum, and they take a detour to the cave Crane awoke in. Inside, they find a bible…George Washington’s Bible! And a passage of the Book of Revelations is marked. Oh, great, dipping into the Revelations well? That’s a bit overdone by countless movies and books, but sure, fine. I’m sure you figured out that the Headless Horseman is one of the four riders of the apocalypse. He’s Death, because that’s the coolest one. 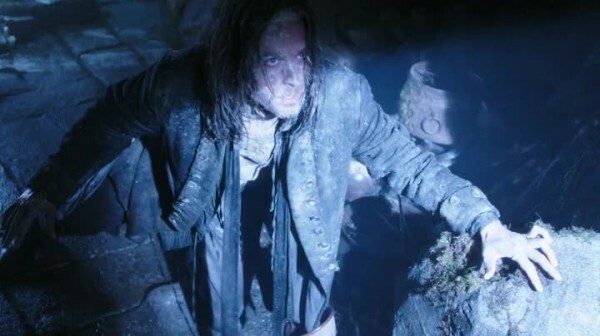 As an aside, there is a priest in town who also happened to be around when Ichabod was dying. He also immediately recognizes Ichabod inside the cop car. The priest battles the Headless Horseman by the power of flying chains. But chains are no match for the Horseman, who lops off the priest’s head. There is a grave with the eye on the pyramid on it that I’m sure won’t be important later. It’s important practically minutes later, as Abbie also arrives and confers with Captain Irving and Officer Dunn about what happened. 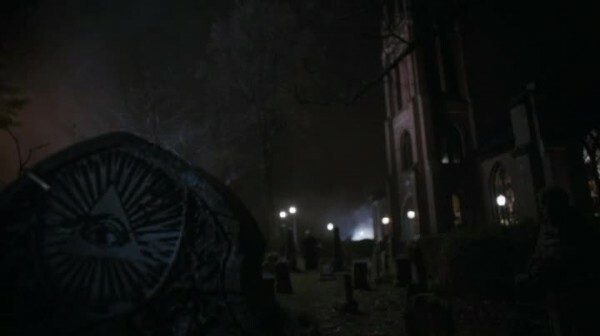 Ichabod is led to the grave by a hawk (that was briefly seen right as he awoke) and it is the grave of his late wife, Katrina Crane, who was burned to death for witchcraft. Because of course she was. Crane is dropped off at the asylum (Captain Irving was angry he wasn’t already put away! ), and Abbie confesses that she had a supernatural encounter involving four white trees when she was a kid, that also made her sister crack under the pressure. Four white trees mean the four riders of the apocalypse, because of course they do. Abbie breaks into Sheriff Corbin’s office, where she finds his secret files of all the unsolved murders around town and the entire East Coast he’s been collecting for years. And his tape recordings about said murders. And mention that two opposing forces of witch covens integrated themselves into the town. And including recordings where he goes on and on about Abbie and her encounter. Creepasaurus rex! Crane has a dream where his wife Katrina explains the rest of the plot points the pilot didn’t have time to cram in: Katrina is trapped in a witchcraft world because she fights evil witches, a demon is trying to unleash the four horsemen, if the Headless Horseman gets his head back everyone is screwed, said head is buried at her grave, since Ichabod and the Headless Horseman bleed all over each other they are now blood brothers or something, she loves her husband very much, and she’s a series regular so expect flashbacks each week! Abbie springs Crane and they head to the graveyard, calling Officer Andy Dunn to call for backup. He does…except his backup is the Headless Horseman, because Dunn is evil! And now the Headless Horseman has all his guns! Whooo-hoo!! I’m trapped here 250 years without a sweater! Captain Irving has no choice but to reluctantly have Abbie and Ichabod figure out what the heck is going on with this headless dude. 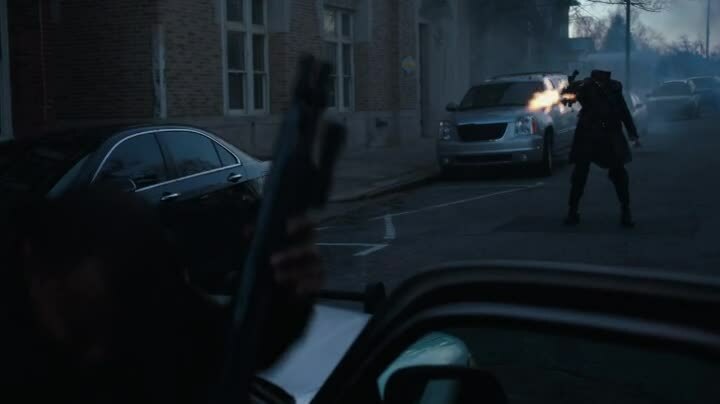 Also Dunn is murdered by a mysterious blurry demon who is behind all this end of the world stuff. Cool that Dunn was killed by having his head flipped upside down. 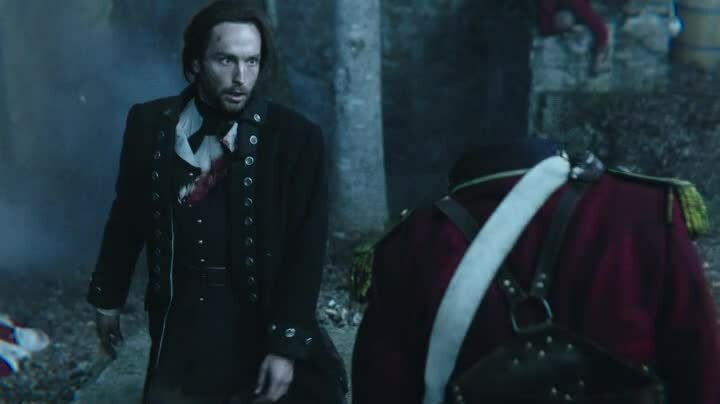 I guess Officer Andy Dunn is one and done for appearances in Sleepy Hollow! 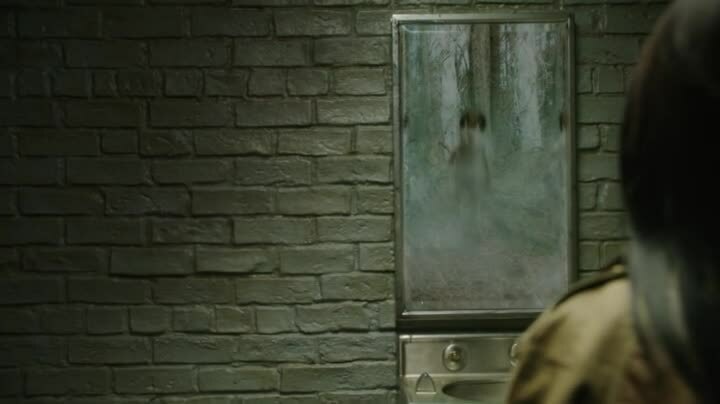 Beyond the direct references, there are all sorts of subtle nods to the Bible and the occult. The town of Sleepy Hollow has 144,000 residents and the reoccurring eye on the pyramid being two of the more obvious. And let’s not get into the use of Rolling Stones’ Sympathy for the Devil. The good: Nicole Beharie! Holy crap is she awesome! I love how she nails comments on whatever weird thing Ichabod says or does, but not in a mean way. Her character has an honest conviction that just makes her instantly charismatic. And she works great with Tom Mison’s Ichabod, who has the potential to be like a Sherlock Holmes, except instead of being a genius he’s just a guy who knows a bunch of historic stuff. Orlando Jones is always awesome to see, and his character name of Irving means he’ll be around for a while. Sleepy Hollow had a good amount of minority characters, including two black characters (one a lead) and an Asian male in a major guest role. Hopefully they keep the diversity up in the future. 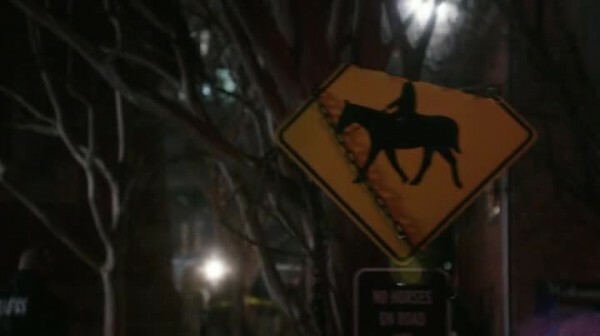 Jokes such as the sign getting it’s head cut off show the series isn’t taking itself too seriously. 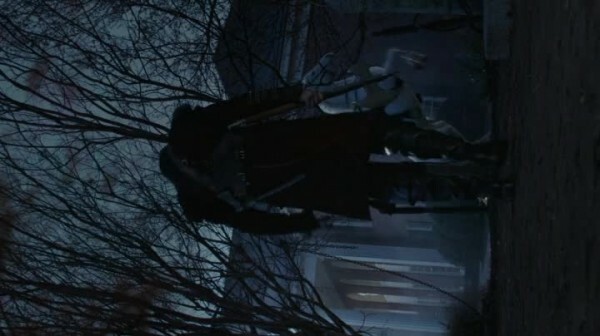 And finally, the Headless Horseman with a gun! Heck yeah! The bad: So much back story was crammed in they’ll have to repeat things as the witch conspiracies are revealed. Which is good, as they were confusing. Too many guest stars all died, and while John Cho probably won’t return, Clancy Brown will probably make audio appearances. There were a lot of convenient things happening, hopefully solutions become less contrived. And the “seven years” thing is a bit presumptuous. Don’t get ahead of yourself, Sleepy Hollow! Sleepy Hollow has a lot of potential, and I hope it heads for good places. I’m a coming, I’m a coming! 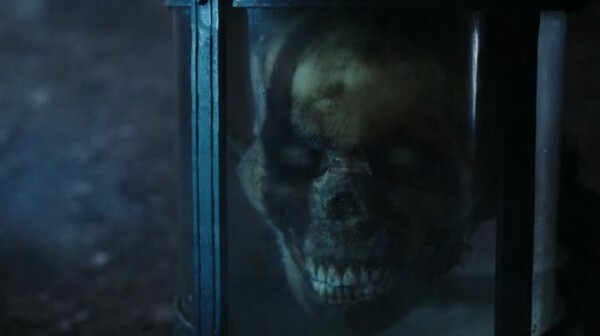 He lost his head over meeting Ichabod! Must get away from twerking Miley! I’m not evil, I belong to ne of those good Devil worshiping cults! I will never autograph your 7-Up can! He was a Pez dispenser? This will turn out to be George Washington, I’m calling it now.